The Viennese are world-renowned for their sort of macabre disposition. 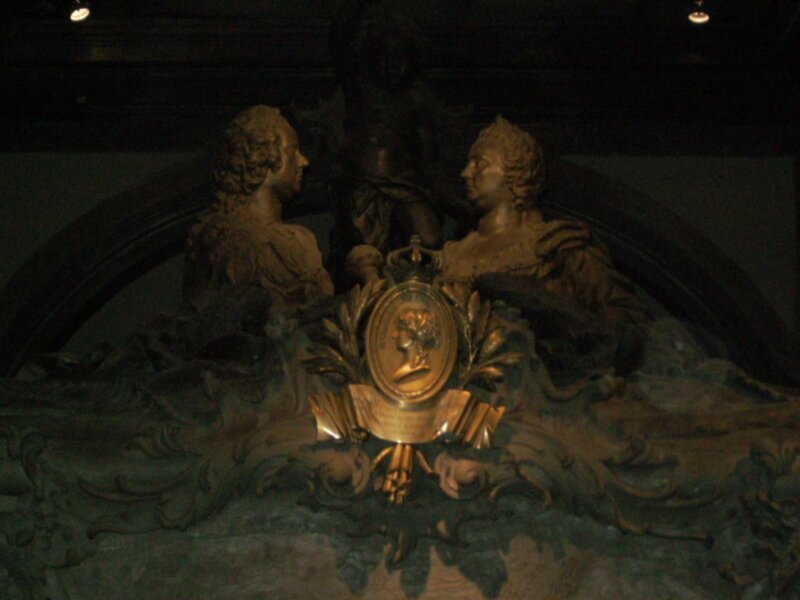 My siblings and I felt very Viennese last wekend, so we decided to visit the Kapuzinergruft (Imperial Crypt), where most members of the Habsburg family are buried. Well, not exactly buried, really. More like exhibited. 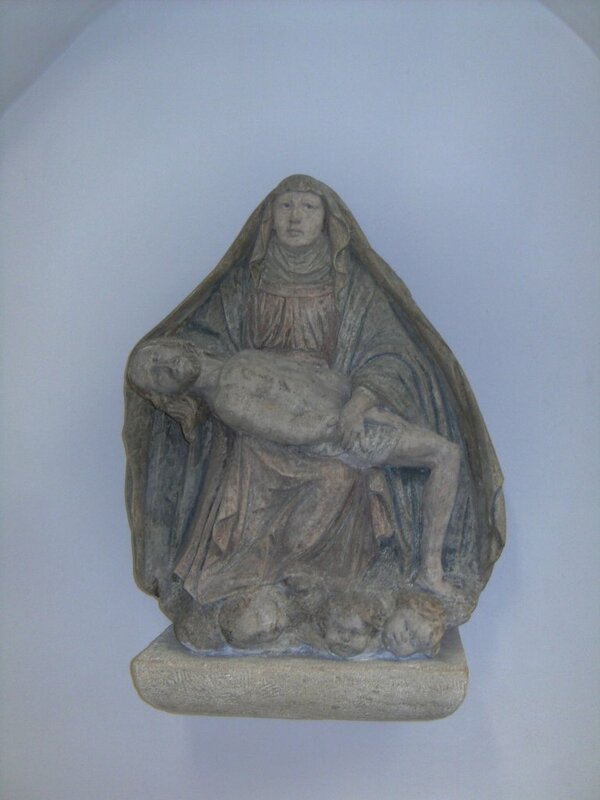 Why this Pietà near the entrance is crushing the heads of babies is beyond me. 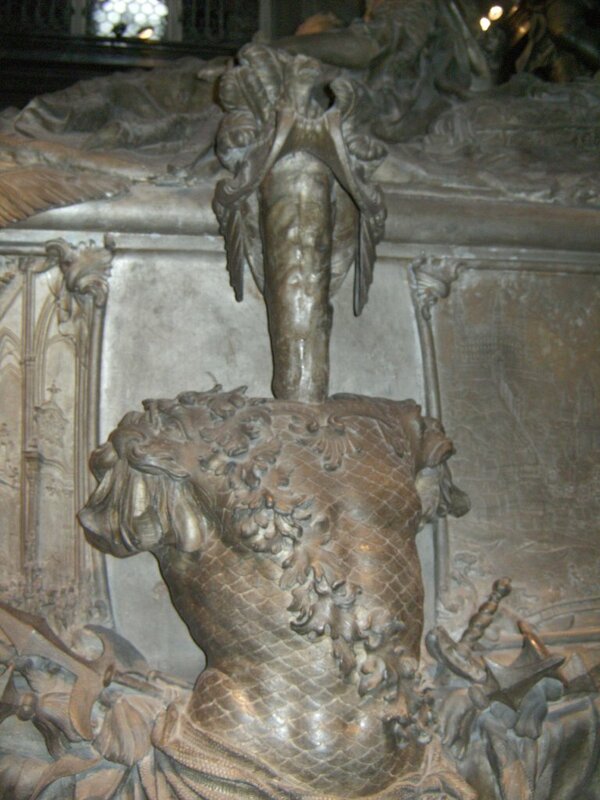 Another detail of the sarcophagus of Emperor Franz I Stephan and Empress Maria Theresia. Gives the word "stick figure" a whole new meaning. 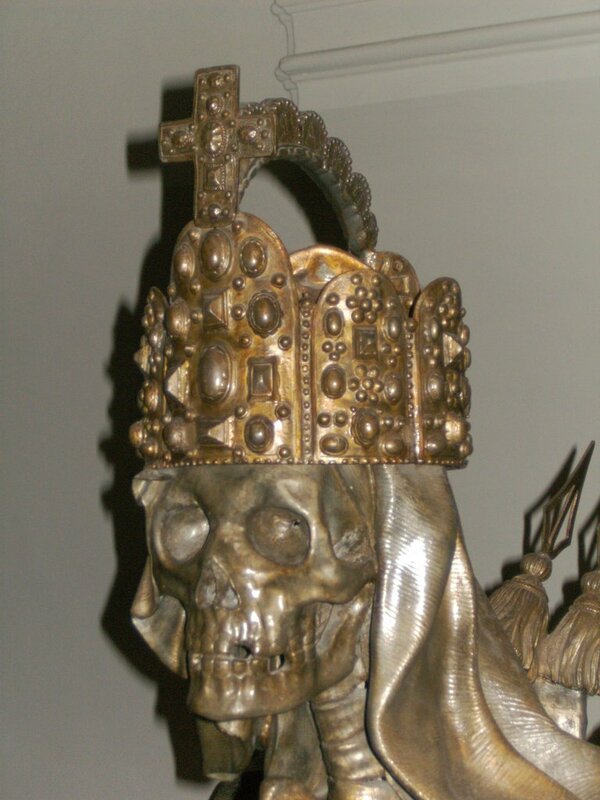 This skull wearing the crown of the Holy Roman Empire is mounted on the sarcophagus of Emperor Karl VI. Note how a few teeth are missing. Creepy.